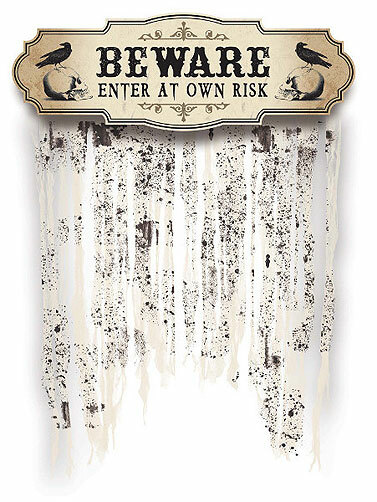 The Boneyard Door Curtain will look great hanging over a door at your Halloween party. 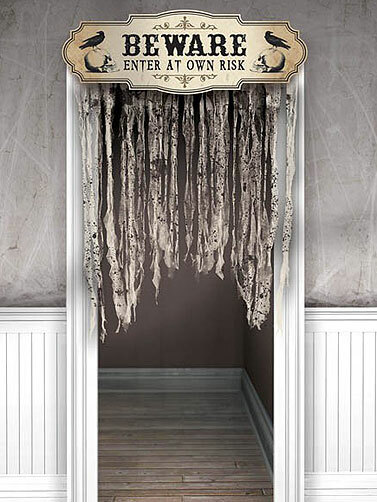 Paper banner in an antique white reads "Beware Enter At Own Risk" and features a skull with crow print on each side. The gauze curtain is made from white and black gauze fabric strips that have a distressed look. Boneyard Door Curtain measures 55"H x 39"W.